Loneliness is often a normal part of the grief experience. If you are a grieving person struggling with loneliness, we have grief support options that can help. 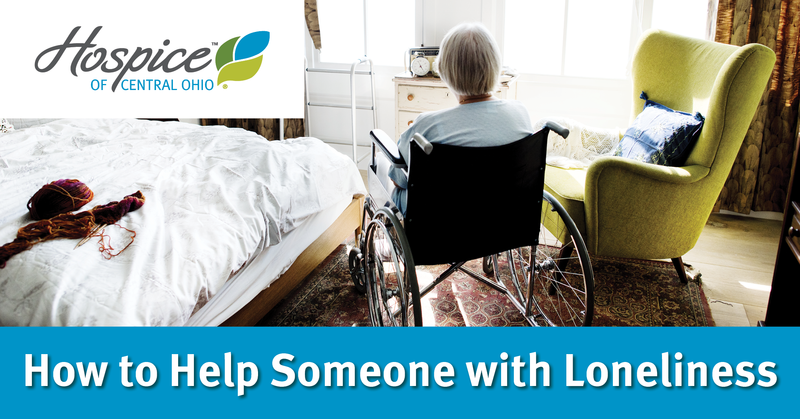 Hospice of Central Ohio offers bereavement care to anyone living in our service area, regardless of his/her affiliation with our hospice program. All services are free of charge to the community. If you would like to schedule an appointment to speak to a member of our bereavement services team, please contact Maria Johnson at 740.788.1474.